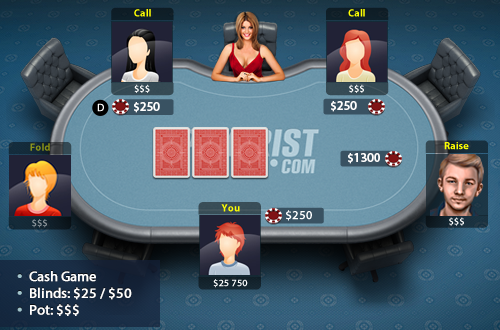 You’re playing a 5 handed $25/$50 cash game and have $26,000 in front of you. This game has been playing super deep and bigger than most games at this limit. You open to $250 from UTG with QQ and get called in 2 spots then 3 bet by the big blind to $1300.